Round 4 of the 2019 National Premier Leagues NSW Men’s 20s season saw a number of shock results as Mt Druitt Town Rangers grabbed their first win of the season with a 5-1 thrashing of Rockdale City Suns, while Blacktown City outclassed Sutherland Sharks to hold their slender lead – on goal difference – over Sydney Olympic at the top of the table. Sydney United 58 edged APIA Leichhardt Tigers by the finest of margins at Sydney United Sports Centre on Sunday afternoon, scoring with their only shot on target to secure their first win of the 2019 National Premier Leagues NSW Men’s 20s season. The goal came midway through the first half when Sydney United broke down the right flank through Ivan Bratjanscak, who held off his defender to sidefoot a shot past the goalkeeper and inside the far post. APIA piled on the pressure over the remaining hour, but were unable to pull a goal back and travel back to Lambert Park empty-handed. APIA were dominant from the first whistle, and nearly scored in the first few minutes when Daniel Sadaka rushed to gather a long pass at the top of the box but missed the ball. Dom Nasrabadi had a swipe at goal but didn’t manage to get a clean connection, giving Karlo Borovic time to get back and knock the ball off the line for a corner. Another sharp attacking move from the visitors was cut short by Sydney United to hand Sam Gulisano a free kick in a dangerous position, but he curled his effort just wide of the far post. APIA held possession well and continued to count up their shots, but Sydney United scored against the run of play in the 28th minute to completely shift the dynamic of the match. Bratjanscak latched onto the ball on the right wing and drove inside, outmuscling the APIA defender before hitting a shot past the goalkeeper. The visitors had a good opportunity to hit back shortly after when Nasrabadi guided a great ball into the box from another free kick, but the diving Oscar Bernauer couldn’t direct his header on goal. APIA continued to push forward after the break and seemed certain to level the score when a looping ball found Zeke Prisuda at the back post. His header beat Sadaka but James Papoutsis managed to knee the ball off the line for the goalkeeper to recover. The Tigers looked most threatening from the set piece all afternoon, and another ball in from the left found Nathan Mellino on the edge of the six yard box, but his shot was taken by Sadaka amongst a sea of legs. Sydney United offered little in attack throughout the second half – their goal had come from their only shot on target – and were very nearly punished for their lack of ambition in attack when APIA broke into the box in the final minute of the game. Unfortunately for the visitors, Nasrabadi ran a fraction in front of a cut-back from the byline and could only dig out a weak shot at goal, which was quickly gathered up by Sadaka. Sydney United 58’s Tony Sekulic can be pleased after his side hung on for their first win of the season; a test of their strength after finding themselves bottom of the table coming into this round of fixtures. APIA’s Matthew Michael, meanwhile, said there were plenty of positives to take from a disappointing result for his team. “It was a game that we dominated,” he said. “But unfortunately we couldn’t get the ball in the back of the net. It sounds simple, but if you don’t score you can’t win. “They made the most of their opportunities, that was the difference. We tried to get back into it, but again, if you don’t take your chances, it’s harder to come back from 1-0 down. Sydney FC thrashed Wollongong Wolves at Lambert Park on Saturday afternoon, securing their first win of 2019 in emphatic fashion. Jake Hollman scored twice for the hosts, while Samuel Amey and Calem Nieuwenhof also got themselves on the scoresheet as Sydney FC rushed to a 3-0 lead at halftime, before adding a fourth in the second half. Wollongong sit sixth and have had a promising start to the season regardless of this result.  They take on APIA Leichhardt on Wednesday, while Sydney FC’s next match will be away to Mt Druitt Town Rangers next weekend. Blacktown City put three past Sutherland Sharks on Sunday afternoon to maintain their lead at the top of the NPL NSW Men’s 20s after the first four rounds of the season. The comfortable win over Sutherland should give Blacktown confidence of extending their good run of form when they travel to Cromer Park next weekend to take on Manly United, who currently sit in fourth place. Sutherland, meanwhile, now have ground to make up on the leaders. Last season’s champions sit eighth on four points, and next week face a test when they host Sydney United 58 at Seymour Shaw. Mt Druitt Town Rangers blew Rockdale City Suns away on Sunday afternoon with a 5-1 win that has shocked the competition. Without a win heading into Round 4, Mt Druitt might hardly have expected manage a result away at Rockdale; a team unbeaten before this game. Yet a stunning win for the visitors lifts them from eleventh place into ninth, and should give them every hope of another good performance when they take on Sydney FC at Popondetta Park next week. Rockdale will look to get their season back on track when they travel to Lambert Park next weekend, where they’ll take on an APIA Leichhardt Tigers playing their second game of the week. Sydney Olympic scored the odd goal in five to beat Hakoah Sydney City East 3-2 at on Sunday afternoon, a result which takes them up to second on the ladder. Alex Gollan, Michael Gaitatzis and Dimi Petratos all found the back of the net for the visitors, while Hesan Soufi scored twice for Hakoah in a thrilling second half at Hensley Athletic Field. Olympic will look to take their good form into their Round 5 match against Wollongong Wolves at Belmore Sports Ground, while Hakoah will try to bounce back at Marconi.